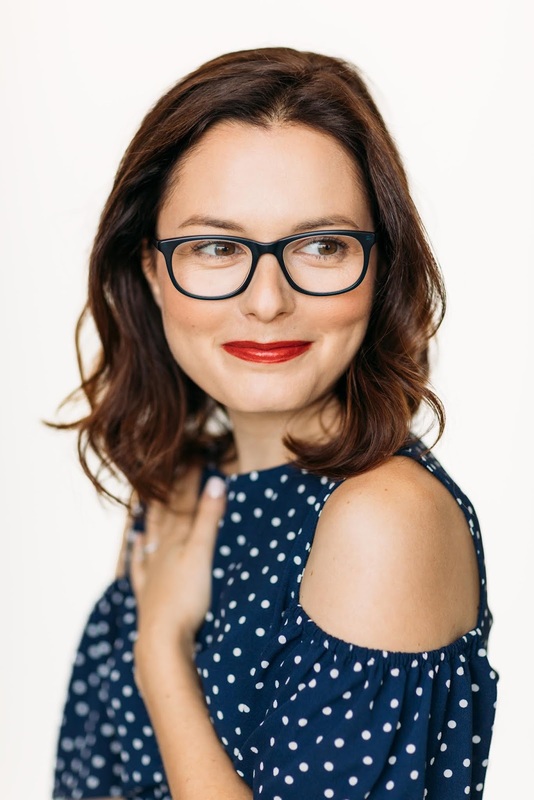 To celebrate the release of Lulu The Broadway Mouse by Jenna Gavigan on October 9th, blogs across the web are featuring exclusive content from Jenna. 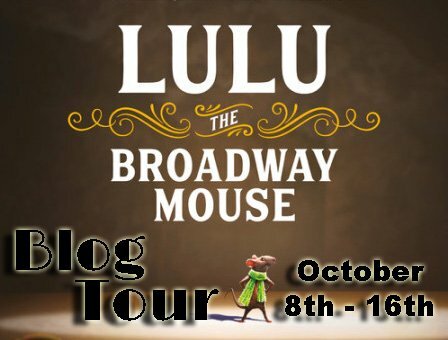 Welcome to Day #4 of the Lulu The Broadway Mouse Blog Tour! I’ll start off by saying that while I know the “you must write every day in order to be a writer!” thing is a popular piece of writerly advice, I do not write every day. Sure, I compose texts and emails every day, but I don’t think that’s the kind of writing the “you must write every day in order to be a writer!” people are talking about. Let me next say that if writing every day works for them (or for you! ), more power to them/you. How wonderful that they/you are able to channel the willpower and focus to write each and every day. Alas, I am not. I tell you this to drive home the point that, in case you’re like me and you can’t find the time or the energy or brain power to sit down every day to work on your manuscript or film script or play, that doesn’t mean you won’t eventually make money as a writer. Even staff writers on TV shows who pop out 22 episodes a season take breaks on the weekends and on hiatus. There is more than one way to crack, cook, and eat an egg, and there is certainly more than one way to be a productive writer. I find that there are just some days when the mood strikes me, and I’ll sit down and the words will pour out of me. Sometimes this happens in the morning, sometimes after five o’clock with a glass of wine (because I am a full-grown human lady and I’m allowed), sometimes an idea wakes me up in the middle of the night and I get up to write it down. One thing I did consistently during the Lulu writing process, and that I find works very well for me, whatever the genre, is when I sit down to write I don’t begin writing anything new until I have read everything I’ve already written up to that point. For example, say I was starting Chapter 6: before I begin writing it I would go back and read chapters 1 through 5. This helps me get reacquainted with my work and it also helps me keep my work tidy. For me, it’s much less overwhelming to make changes and edits bit by bit than it is to go back once a first draft is complete. Yes, this means that when I sat down to write Chapter 21 of Lulu, the chapter that wound up being the final chapter, I first went back and re-read the introduction and 20 chapters that preceded it. I caught spelling errors, grammatical errors, changed a word here or there to make things zippier and more consistent. Sure, Lulu the Broadway Mouse is only about 37,000 words. Going back through, say, a 90,000 word book would certainly be far more daunting. But I’d like to think that if/when the times comes, I’ll still go through that process. When I find something that works for me, I tend to stick with it. Until it stops working, of course. After the fabulous folks at Running Press Kids purchased Lulu, we went through a few rounds of edits and rewrites. First, a few grander moves—for example, the Bet & Poppy section of the book did not exist in the purchased manuscript, but I am so thrilled to have added it. It’s a couple of pages but they make such a difference. Then, we made more delicate moves to look for inconsistencies, spelling mistakes, that sort of thing. In addition to editing by hand, I found reading the manuscript out loud to be incredibly helpful. There are certain things you just don’t notice until you’re reading your work out loud. 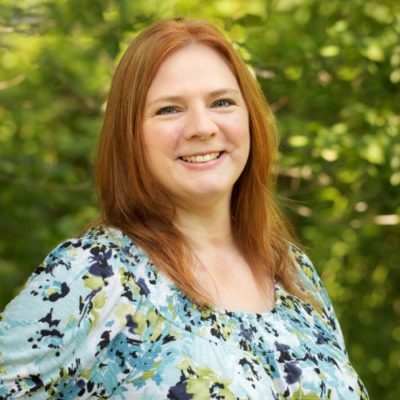 Perhaps you repeat a word far too often, perhaps the dialogue you’ve written for a character just doesn’t sound like that character; reading out loud will certainly help you catch a mistake that spellcheck and grammar check won’t. For the purposes of Lulu, I knew I would be reading the book out loud in its entirety for the audio book recording—such fun, by the way!—but I also realized that a lot of parents would probably read the book aloud to their children, a lot of teachers would read it aloud to their students. I wanted the book to be just as enjoyable and digestible when read aloud as it would be when read silently. Remember: writing should be fun! If you’re lucky, it’ll be fun you get paid for, but more than anything, enjoy yourself. Sure, it’ll be tough at times. You’ll feel stuck, you’ll think what you’ve written is garbage, that you have no talent, that you don’t know what you’re doing with your life! When this happens, shut your computer for 20 minutes, 3 hours, or a day, and go do something else. Read, watch TV (that’s allowed, really), exercise, vacuum, scrub your bathtub. It’ll be okay; I promise. Remember that at the end of the day, writing is just make-believe on paper. If you don’t write every day that doesn’t mean you’re not a “real” writer. When you sit down to continue working on a piece, no matter how long it is, first go back and re-read all you’ve written so far, giving yourself the freedom to tidy it up as you go. Knowing what’s already down on the page will help you know what needs to be written on the next. Edit by hand. Colorful pens help. Larger edits like adding or cutting scenes or characters are to be expected, but teeny, tiny edits are just as important. 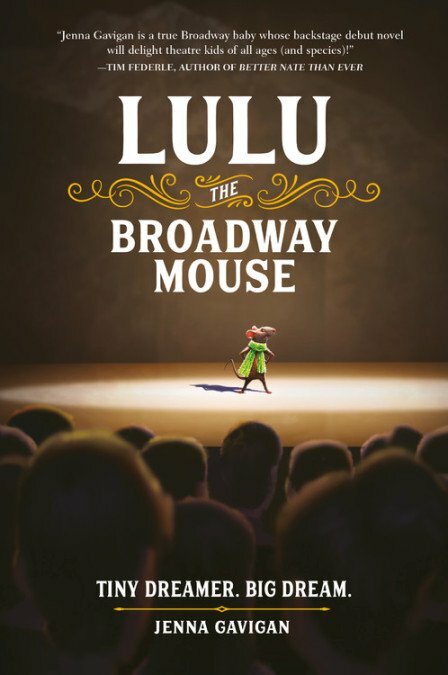 Ratatouille meets Broadway in this charming new middle grade novel about a little mouse with big dreams.Lulu is a little girl with a very big dream: she wants to be on Broadway. She wants it more than anything in the world. As it happens, she lives in Broadway’s Shubert Theatre; so achieving her dream shouldn’t be too tricky, right? Wrong. Because the thing about Lulu? She’s a little girl mouse. Lulu The Broadway Mouse is a very cute book that your theatre loving kids will really enjoy reading. It gives young readers a look behind the scenes of the theatre through the eyes of a mouse…a mouse who wants to be on stage. Lulu’s family has lived at the Shubert Theatre for years. She doesn’t know another life except for theatre life. Lulu knows the ins and outs of what goes on when you’re onstage and behind the scenes too! She helps with make-up, and her mom makes sure she knows how to work on costumes. That’s something she’s not crazy about, since she’d rather work ON stage than behind the scenes. Lulu has some wonderful friends in the theatre, but one of the young actors isn’t very friendly. I really appreciated this part of the story because it’s very realistic. Sometimes people that we work with or go to school with aren’t very nice. That doesn’t mean we should be mean to them! This is a very important lesson for all children to learn…not just those in the theatre. Like Cinderella’s mother says, “Have courage and be kind.” No matter what. I am a big theatre lover, so it was fun to read a book meant for young theatre lovers. I used to act in college, and it was so much fun. It is a lot of work, but when you really knock it out of the park, it’s worth it! If your child dreams of a life in the theatre, look into a local (or local-ish) acting guild. They can get a taste of the amount of work that goes into being on stage. Another important lesson kids need to learn is that not everyone wins or gets the part, but no one is unimportant. In our era of “everyone gets a trophy,” kids need to learn to lose with grace. It’s okay to be jealous as long as you are still kind. I definitely recommend Lulu The Broadway Mouse for your young aspiring actors.